Looking for high-quality precision turned parts of outstanding quality? As a contract manufacturer, we want to help you to manufacture the best possible products. 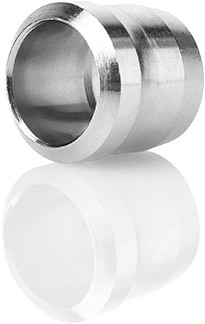 We specialise in complex turned parts made from steel, stainless steel or special materials in diameters of 3.5–26 mm with a maximum length of 320 mm. With our 35 employees, we manufacture them to European quality standards in our own facilities in China – 24 hours a day, 7 days a week. Why let Dakoko produce your parts in China? Dakoko is a privately financed, independent, German-owned company. This way, the advantages of manufacturing in China are combined with a corporate culture that ensures both quality as well as processes and business practices of European standards. Furthermore, a strict quality management system makes sure that low costs go hand in hand with the highest possible standards.